All funds raised by the Grants Pass Active Club from Boatnik are returned to the community by supporting local children and youth programs. please join us in making a difference in the lives of our children! Thursday - 12:30pm to 3:30pm - Multiples stops at local watering holes, loop from Riverside Park and back. 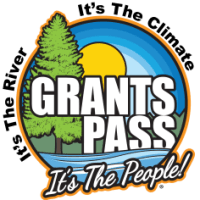 The Grants Pass Active Club is a non-profit 501(c)(3) charitable organization [93-0883280] - Individual Children -The 4H Program -The Boys and Girls Club -The DARE Program -Pop Warner Football -Girl and Boy Scouts of America -American Little League Baseball -Youth Soccer Programs -High School Scholarships -Local Parks & School Programs.